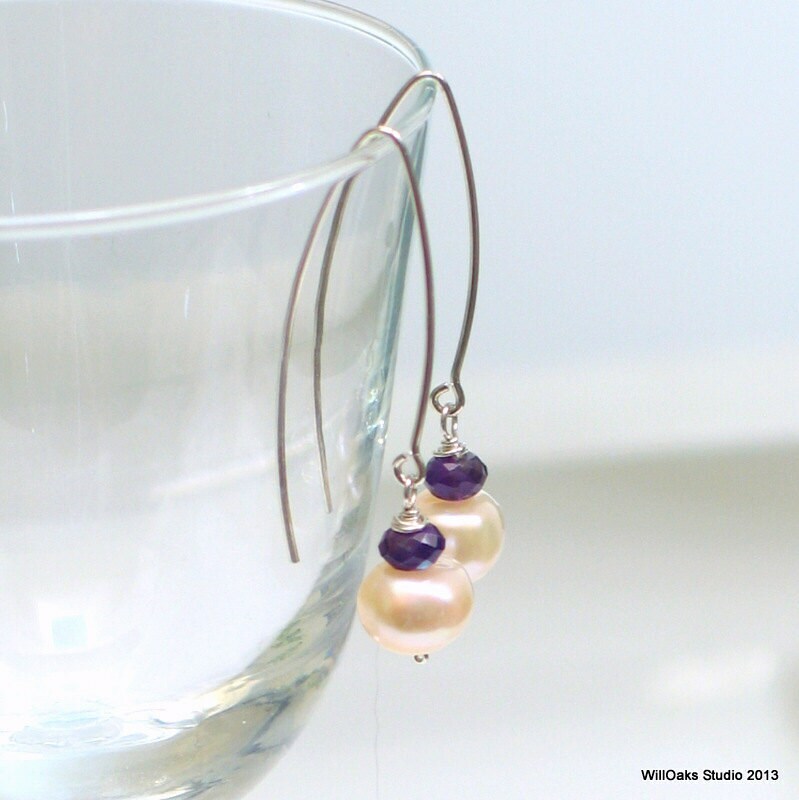 Lustrous baroque off white freshwater pearls are topped with faceted dark purple amethysts to dangle from long hand formed sterling ear wires. 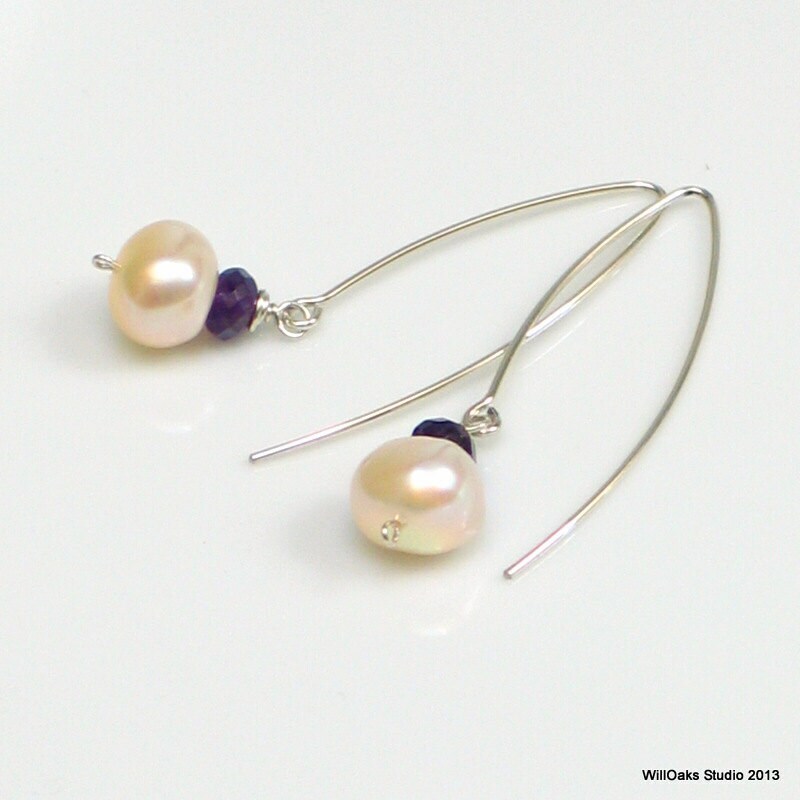 Elegant and fresh, the natural amethyst rondelles are a sweet contrast to the plump pearls. 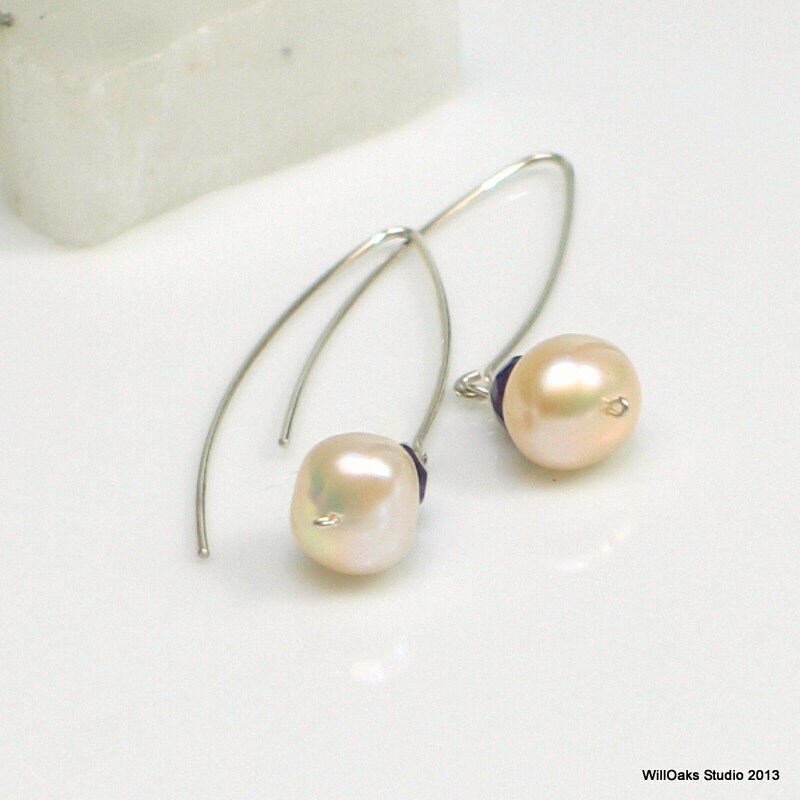 These larger pearls, not perfectly round, have a botanical feeling to them. 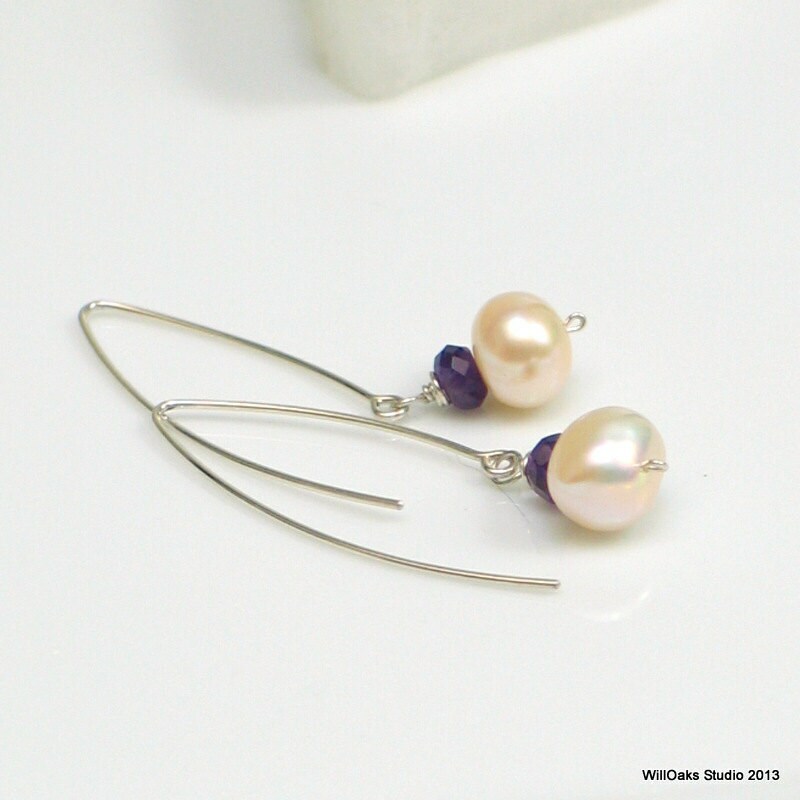 These earrings will coordinate with many of the pieces in my studio, including those that feature amethysts or white pearls. Earrings hang about 1 5/8" from the top of the ear wire and are shipped with clear silicone rubber ear wire clutches. This design has been ordered for use in many weddings and it is possible to substitute the amethyst rondelles with other gems/colors, depending on availability. Just drop me a convo with your inquiry. 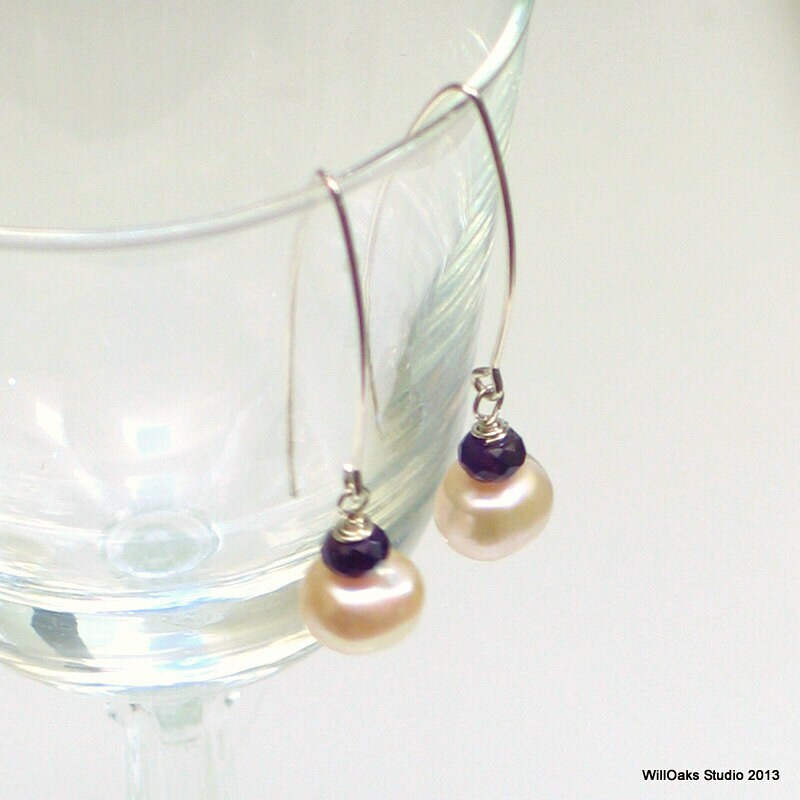 Here are similar earrings made using peridot https://www.etsy.com/listing/45634603/white-pearls-and-peridot-silver-dangle? Enjoy wandering around my shop https://www.etsy.com/shop/WillOaksStudio and leave me a note with any comments or questions!! Thanks for stopping by.